If you know me, you know that I love everything GLITTERY and PINK! Allbirds are really popular here in the Bay Area and have been dubbed "The world's most comfortable shoe!" They are made of sustainably sourced wool, come in a variety of colors, and easy to just throw in the wash! I got my first pair almost a year ago and have purchased 3 more pairs over the past year. However, there hasn't been a hot pink color released yet... so I decided to make my own. I had a pair of the limited edition lavender runners (so pretty)! However, since they were light purple, I noticed them getting dirty often. 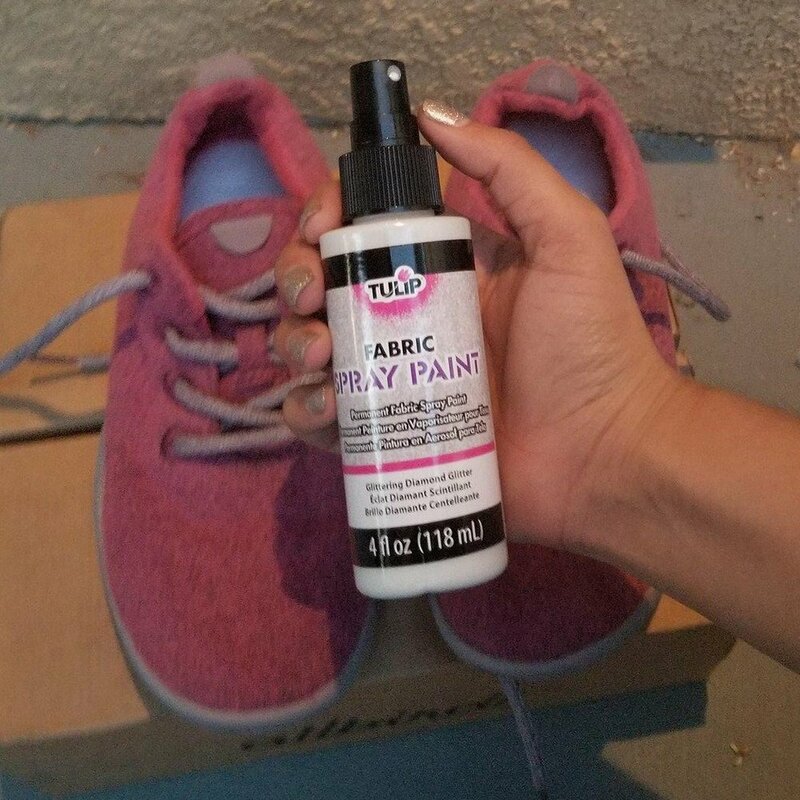 Rather than just throwing them in the wash like I do with my other pairs, I decided to dye them hot pink and finish off with a glitter spray! 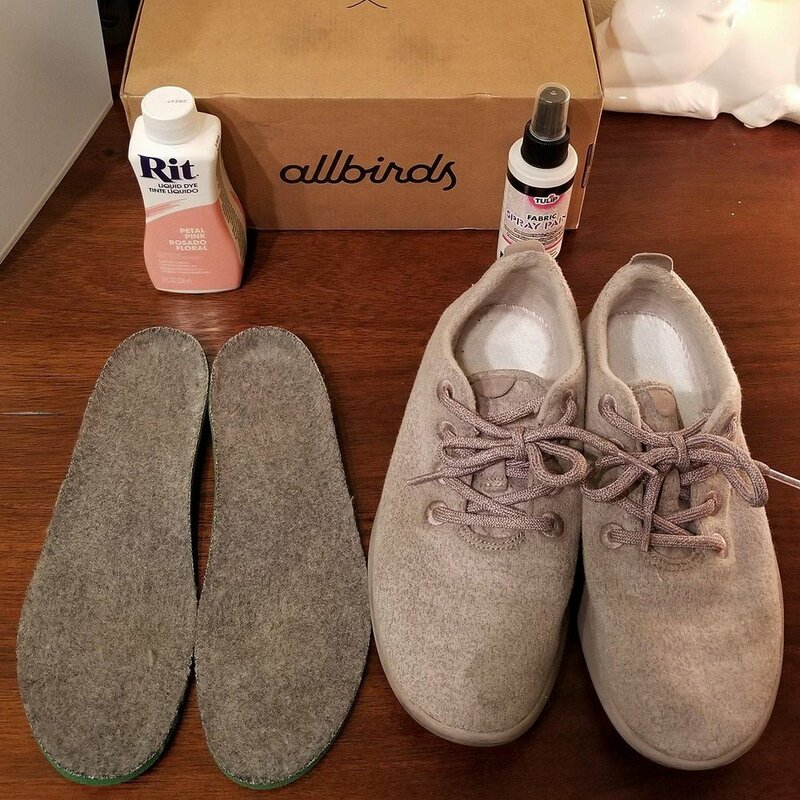 Remove the insoles from your Allbirds and set them aside. All dyes have different instructions so fallow the ones according to your brand. I poured the bottle into 2 gallons of hot water.